Today, a few seconds ago, I took this picture to prove how much I love Carol's Daughter. Shameful, isn't it? LOL! ...And to be honest I still have unpacked suitcases since my arrival home yesterday with more products from Carol's Daughter. More perfumes, lipglosses, facial and body products! My affinity with Carol's Daughter began when I was pregnant with my daughter, Ava-Sol about 2 and a half years ago. Prior, I was probably a 5 years avid user of Proactiv facial products and I adored perfume, especially French perfumes from Boucheron, Christian Dior to Givenchy. My mind and body simply yearned for a natural, home made product line which led me to Carol's Daughter. I have introduced Carol's Daughter to family and friends who have each found a product that suits them best. It's overall quality is excellent. I have learned to try just about everything from them till I find exactly what I love. Each product has a different feel, texture and scent and might suit the needs for some and not others. For example, I love the Mimosa Hair Honey and Hair Balm ... I love that greasy feeling. My mom, on the other hand prefers her hair to feel light and bouncy. I even introduced the Hair Milk to one of my Vermont Caucasian friends. Her brunette curly locks instantly had a lovely sheen and bounce. Even she was amazed. LOL! Just like the scents ... I love the Mango Mélange (blend of pineapple, tangerine, mango, and lime) and Almond Cookie scents (blend of almond, vanilla, and sandlewood). I tend to use the Mango Mélange scent in the warmer months and the Almond Cookie scent in the cooler months. A friend sent me a gift of the entire collection of the Ocean scent. In the past, I had tried Ocean and it was not quite me. Now, I love Ocean and probably use it the most. Ocean is a unisex scent that has become a costumer favorite. The blend of watermelon, cucumber, hyacinth, and rosemary oils formulate this romantic fragrance. 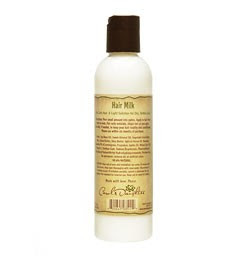 The Hair Milk $12-$18 is a lightweight, fast-absorbing lotion for the hair is made with essential oil of lemongrass to stimulate natural oil production and hydrate strands. Infused with a splash of lily of the valley fragrance in a rich base of oils, shea butter, cocoa butter, and vitamins E and C, Hair Milk is ideal for defining natural curls and giving hair loads of shine and bounce. 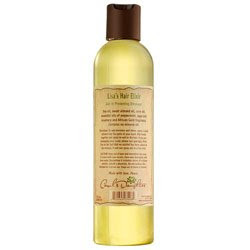 Lisa's Hair Elixir $19 has sage, rosemary, and the special blend of soy, almond, and peppermint essential oil. It makes my scalp tingle and I not a huge fan of that. Jada Pinkett Smith attributes her long, beautiful hair to this product. Carol's Daughter has products for just about every member of the family. My friend, Pas and I both use the hair products in our babies' hair. I love the facial products, I am crazy about the hair products but I am insanely in love with the body products. Lisa Price, the owner, stated on the Tyra Banks' show that it's important to layer your scents. So I buy Carol's Daughter shower gels, to the shea souffle/lotions/body butters to the perfumes. condition for the whole day. Ok, so now you understand the reason for my Carol's Daughter collection. LOL! The Saturday Morning Special Set $49.95 is an affordable way to start using Carol's Daughter. You'll get a lil' of everything for your hair!